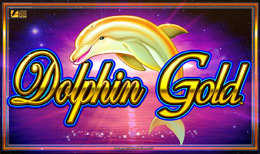 If you’ve ever wanted to feel the freedom of swimming with the dolphins while also placing some lovely bets on a dolphin themed 5 reel then you have certainly found your niche with this online slot game. Deposit today and enjoy 40 fixed paylines filled with underwater creatures such as seahorses, turtles, and manta rays alongside a wonderful deep sea soundtrack. for titles such as: Angels Touch, Stellar Jackpots With Dolphin and Silver Lion respectively. matched will award free spins and wild wins. straight forward winning combination that equal more profits overall. try something just a little differently. style of the gameplay coupled with the very bold theme equal a rather enticing experience overall.